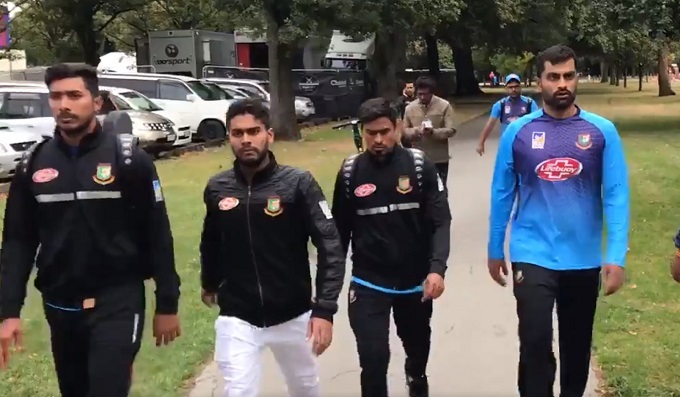 CHRISTCHURCH, NEW ZEALAND: The third Test match between New Zealand and Bangladesh that was scheduled to begin on Saturday at Hagley Oval in Christchurch has been called off after a shooting at a nearby mosque on Friday. New Zealand Cricket made the announcement through their official Twitter handle. "Our heartfelt condolences go out to the families and friends of those affected by the shocking situation in Christchurch. A joint decision between NZC and the @BCBtigers has been made to cancel the Hagley Oval Test. Again both teams and support staff groups are safe," the Black Caps tweeted. Bangladesh"s cricket team escaped unscathed the deadly shooting at a mosque in New Zealand. Bangladesh Cricket Board spokesman Jalal Yunus said most of the team were bussed to the mosque in Christchurch and were about to go inside for Friday prayers when the incident happened. Shrinivas Chandrasekaran, the team"s high performance analyst, posted: "Just escaped active shooters!!! Heartbeats pumping badly and panic everywhere!!" Mazhar Uddin, a reporter for Bangladesh"s Daily Star who is travelling with the team, said they were told a shooting was going on when they arrived at Christchurch"s Masjid Al Noor.